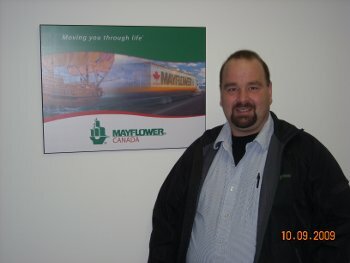 Stan joined Majestic Moving Services a Member of Mayflower Canada, in October, 2009. He is the second generation in the moving industry following in the path of his father who had a long career in the business. Stan is celebrating his 22nd year and has experience in all areas of the business. His career started in Kelowna, BC and took him to Hay River, Inuvik, back to Kelowna and onto Edmonton where he has spent the last three years. Stan resides in Spruce Grove and enjoys woodworking and fishing. Majestic Moving has just completed one of its more interesting projects, relocating an entire hospital! 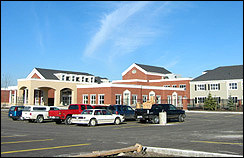 The Mewburn Hospital in Northeast Edmonton was moved to its new home at the Kipnes Centre. Everything was brought over, from office furnishings to expensive medical equipment. The project was headed by Paul Sullivan and the move was done carefully over a 30 day period, required the up to 14 Majestic Moving personnel and 4 trucks each day. Mayflower Canada is proud to welcome a new addition to its Member family. On February 15, 2008 Majestic Moving Services officially became a Member of Mayflower Canada. Bringing years of experience and expertise with them, as well as a solid reputation in the Edmonton and Northern Alberta area, they are a welcome addition to the Van Line. Their commitment to quality and customer focus fits well with Mayflower’s philosophy of providing the perfect move. Both Mayflower and Majestic look forward to working together and forming a lasting partnership.